In 2005, drought and famine hit the Sahel, claiming many lives. The pattern was repeated in 2010, with the crisis most acute in Niger. And now the early warning signs are there for problems again next year, in 2012. Sahelians have always had their ways of coping with bad years. Not so long ago the cycle could be tracked by the size of women’s gold earrings. In major drought years the gold would have to be sold, and for a time the women would wear replica ornaments of painted tin. Then gradually they could start to buy gold again, until eventually their earrings were back to their former size. But successive droughts, coming this close together, tax families’ resilience to the limits. Not just gold has to be sold, but productive assets too - livestock, tools and land - making it almost impossible for the family ever to get back to its position before the crisis. A government study of 14 agro-pastoral areas in Niger found that pastoralists with small herds had on average lost 90 percent of their livestock due to successive droughts. International aid has kept people alive - more successfully in 2010 than in 2005 - but it has not stopped this kind of progressive impoverishment. After the 2005 famine, the Sahel Working group, an informal grouping of UK and other European aid agencies, commissioned a study (entitled Beyond Any Drought) - on the lessons which could be learned from the way the crisis had been handled. Now its author, Peter Gubbels of Groundswell International, has repeated the exercise. The new publication, Escaping the Hunger Cycle; Pathways to Resilience in the Sahel, looks at what happened in 2010, what has changed for the better, what challenges remain, and what can be learned for the future. One of the continuing problems identified in the report, and one which still has not been solved, is a conceptual issue of how you think about crisis and normality in areas where child malnutrition is always at a level which would elsewhere denote an emergency situation. In Kanem, for instance, in western Chad, the incidence of global acute malnutrition (GAM) fell below the World Health Organization (WHO) emergency threshold of 15 percent only once in the past 20 years. These are children with no reserves, no resilience when the next bad season comes along. 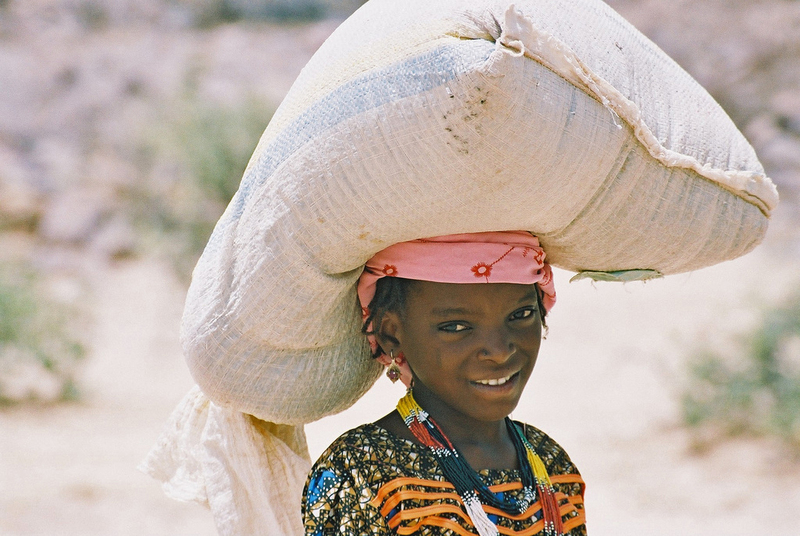 A third of the population of Chad is chronically undernourished, regardless of the rains or size of the harvest. More than 50 percent of the population in Niger suffers from food insecurity, with 22 percent extremely food insecure, according to the World Bank in 2009. The practical result of this conceptual confusion is that attempts to build people’s resilience to cope with drought and food crises fall down the crack between the agencies which deal with emergencies and those which deal with development. Donors, to date, have been slow to embrace more flexible funding, but there is a sign that attitudes among them are shifting. EU humanitarian funder ECHO, for instance, has outlined both short and long-term objectives in its Sahel strategy; UN Emergency Relief Coordinator Valerie Amos has recently stressed the need to build relief to development bridges. The report is full of practical ideas for things that can be done better, both in the periods of obvious crisis, and in what pass for normal times in the Sahel. Gubbels feels that too much emphasis is placed on agricultural production, both as an early warning indicator, and as a way of averting future crises. He points out that, although most of the people of the region can be loosely described as farmers, pastoralists do not grow their own food, and nor do the poorest 20 or 30 percent of the population - they buy it in the market. So they may still go hungry when the harvest in their own region has been adequate, if other factors mean food in the market is priced beyond their reach. More effective early warning indicators and rapid response mechanisms are required to prevent the immense damage to livelihoods, and the loss of productive assets by vulnerable households, when an acute food crisis occurs. Meanwhile, development projects to increase agricultural production help the better-off farmers who do grow their own food, but not those who have had to sell their land or tools to get through a crisis or whose able bodied workers have been forced to migrate to look for paid work. More focus on livestock management is needed to help pastoralists boost their disaster coping mechanisms. And far more work needs to be done to tackle moderate acute malnutrition, such as addressing the multi-dimensional aspects of malnutrition, including livelihoods, food production, social protection, health, water and disaster risk reduction; and on responses that focus on strengthening the incomes of poor households. The report has interesting things to say about social protection programmes and cash transfers, just beginning to be tried in this part of West Africa. It showcases one successful project in Niger, where women received around US$120, in three payments, during the hungry season. Most of it was spent on food, improving nutrition. No families had to sell land, and freed from the desperate search for cash income, household members were able to spend more time farming and produced as much as 50 percent more millet than usual. Since the labour market was not flooded with people desperate for any employment, wages were better for those who did have to look for paid work. In his report Gubbels does address this issue, urging countries to build food reserves to help stabilize prices. It is a mechanism which fell out of favour because it interferes with the free operation of the markets, but Gubbels believes it still has a role, especially given the time lag in getting food into these landlocked countries in a crisis.